Iconic Italo-Australian singer Vanessa Amorosi has today released a much-anticipated new song, ‘Heavy Lies the Head’, with more tracks to follow in the coming months. In celebration of the occasion, Amorosi is performing a series of solo shows, along with some special one-off performances with other famous Aussie voices, as she hits the road for the first time in almost a decade. “I am just so thrilled to be back recording and performing live,” Amorosi said. “Nothing brings me greater joy than sharing my music with everyone. “I can’t believe it has been nearly 10 years away from the stage, but I have been super busy writing lots of music of all styles and I am really proud and passionate about my first single. The daughter of singers Frank and Joy Amorosi, Vanessa grew up in an extremely musical family, saying that it was always “very loud” and she spent a good deal of her childhood watching rehearsals. She can’t remember a time when she wasn’t performing, saying “I was just always doing it”. To that end, Amorosi, whose tour began on March 23 at Batemans Bay and will continue until her final show in Doncaster, Victoria on May 18, said that touring and performing is her “favourite thing to do”. “I get up on that stage and it just feels amazing,” she added. For Amorosi, her best work comes from a place of uncertainty or nervousness, from where she has to work “from the bottom and rise up”. She admits to being nervous about her new song, which she describes as being “essentially me” but “different to what’s happening [in the music scene] at the moment”. The song, which adds a rock’n’roll feel to Amorosi’s signature power ballad tunes, is about learning to walk away from a “toxic situation”. “It still does what I normally do with my music – it empowers me,” Amorosi affirmed. Now 37 years old, Amorosi was thrust into the limelight at the mere age of 18 when her debut hit single, Look at Me, reached gold status in Australia. The following year, she achieved international success with debut studio album The Power, before rising to international fame with her performances at the 2000 Sydney Olympics Opening and Closing Ceremonies. Amorosi said that gaining international fame at this age was “such an incredible experience”, although she admits to having hoped her peers might have embraced her more than they did. Looking on the positive side, she said “I am just super blessed that I was able to make a career out of it”. Amorosi’s new single has been taken from an up-coming album, which is to be the fifth in a line of successes after The Power, Change, Somewhere In The Real World, and Hazardous. To date, Amorosi has received a total of 16 ARIA and APRA nominations, and won an ARIA No.1 Chart Award for her 2009 song This Is Who I Am. But she described the as-of-yet unnamed album as her “favourite”. “I’m taking more risks now than I used to,” she said. “With this record, it’s the essential art. 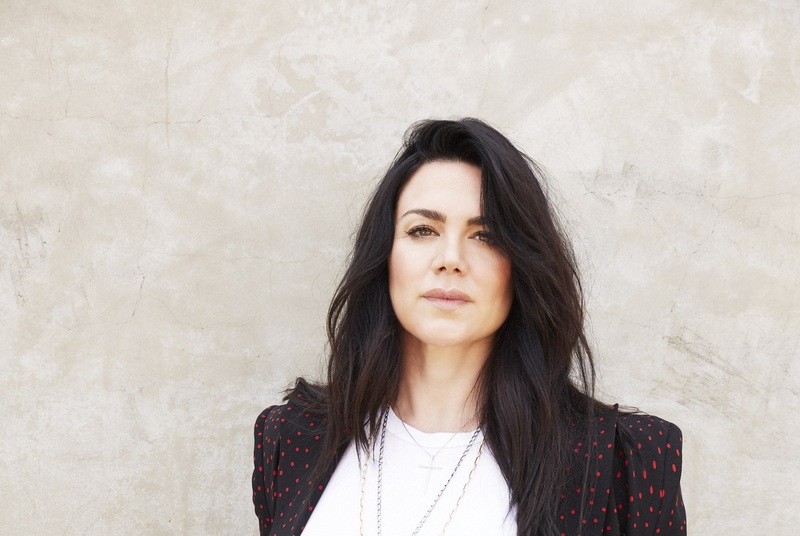 Vanessa Amorosi will be playing at the Revesby Workers Club in Sydney on Friday, May 10, and at Pittwater RSL Sydney on Saturday, May 11. Head to her website for all tour dates and to purchase tickets.